You can buy alcoholic slushies in Pennsylvania beer distributors now? Some of the beverages used to make slushies at the Beer Zoo in Harrisburg, Pennsylvania. Some Pennsylvania beer distributors and wineries have recently started to make and sell to-go alcoholic slushies — but that can’t be legal, right? After all, we are known for our strict liquor laws here in the commonwealth. But back in 2016, Pennsylvania passed two new liquor reform laws that made stocking up for a party all the more easy. It changed where you could buy certain kinds of alcohol — like wine and beer in grocery stores and six-packs in convenience stores. All that said, legal to-go alcoholic slushies still are surprising. 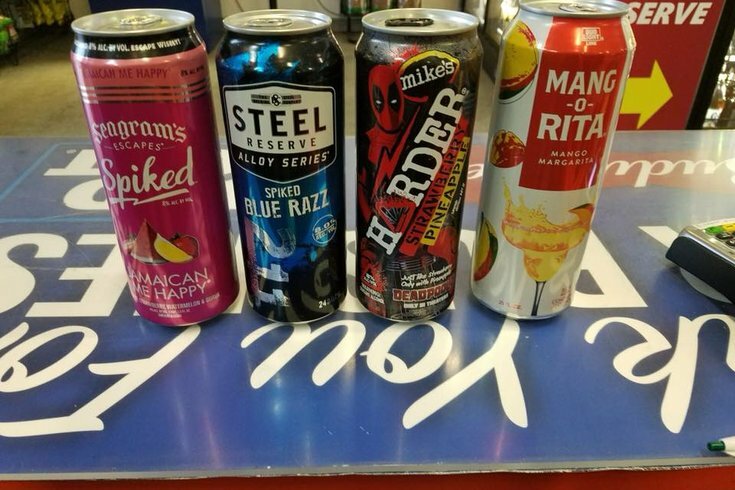 Penn Live reported that a few distributors, and even a winery, are making these slushies from malt beverages that you can take out of the stores. At a distributor in Harrisburg called Beer Zoo, they have been making the slushies for a few weeks now. Apparently this is legal if they are sold in “growlers,” which are defined as transportable containers that can be resealed, and if the character or purity of the malt or brewed beverages are not changed from how the drink had originally been marketed, Penn Live reported. Many of these slushies are being sold in some kind of to-go cup with a sealable lid. And beer distributors say the contents are straight out of a malt beverage, with no added water or ice. Just straight into a slushie machine. We’ll see how long this lasts. In the meantime, if these are being sold at any local Philadelphia area beer distributors, let us know in the comments below.